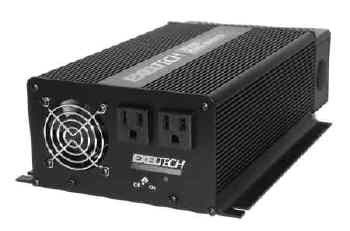 Made in America, EXELTECH XP SERIES INVERTERS are the most affordable, reliable, lightweight and best regulated, true sine wave inverters available. The XP SERIES inverter will operate any AC load anywhere. Ultra lightweight, yet rugged enough for the most extreme mobile environments, and are UL listed to 1950 for telecom applications. The XP SERIES is available in 100Vac, 120Vac, or 230Vac in 50Hz, 60Hz or 400Hz and suited for multiple applications, worldwide.